Hosting club nights and well as live music, O2 Academy Birmingham is one of the most prominent live music venues in the city. Originally known as Digbeth Civic Hall, the O2 Institute now hosts big names on a regular basis. Hosting club nights and well as live music, O2 Academy Bournemouth is one of the most prominent live music venues in the city. With an eclectic mix of live music performances and club nights for Bournemouth students' union, the Old Fire Station is ideal if you want to reach a young, vibrant audience. With two event spaces within the venue, O2 Bristol hosts a variety of club nights, live music and comedy. It's a popular venue for larger acts visiting the busy city of Bristol. Cardiff's largest venue, the Motorpoint Arena hosts massive acts weekly with sell out shows from comedians, bands and sporting events. With a capacity of 1000, the Tramshed hosts live music, club nights,and comedy shows. It also had a restaurant and cinema which are popular in the local community. The Craufurd Arms is Milton Keynes premier music venue, bringing people from all over Bedfordshire and Northamptonshire to see touring and local acts in this well equipped and well attended independant venue. 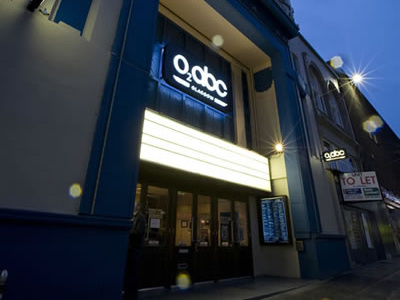 Glasgow is the only city other than London with multiple O2 academies, and the ABC is the smaller of the pair with two event spaces within the venue. The host comedy, club nights and live music. Voted the second best small venue in Europe, Barrowland (aka Barrowland Ballroom) is a Glasgow institution. This historic venue hosts large and small acts from the local area and further afield. Sugarhouse is one of the most prominent clubs in Lancaster, popular with the student population, this is the ideal place to reach a young audience. This 1000 capacity venue is located in a beautifully restored Art Deco building which was built in 1926. With an eclectic mix of bands, comedians and club nights, the venue is always busy! 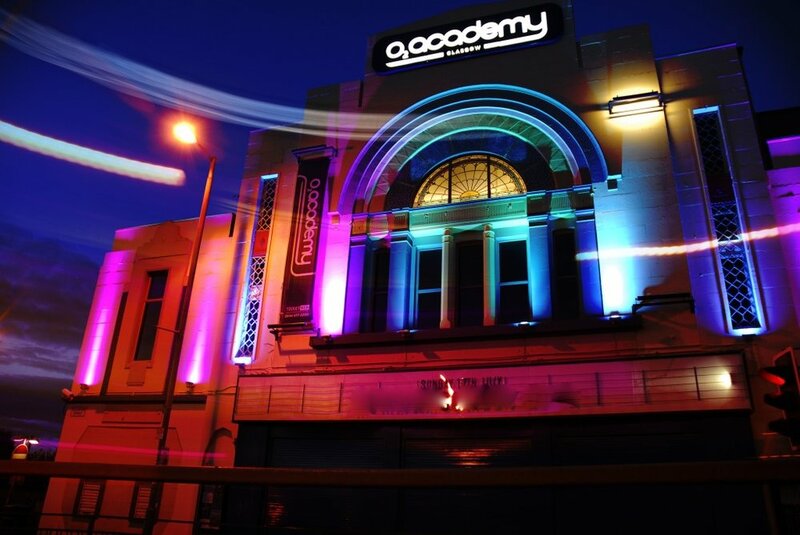 Situated within a beautiful grade II listed building, the O2 Academy Leeds has two main event spaces with huge names playing regularly in the main room, it's one of the most popular venues in Leeds. Located on the campus of the University of Leicester, the venue is popular with students and town locals alike. Hosting club nights, live music and comedy, this is an ideal place to advertise to music lovers and students. The largest live music and entertainment space in Lincoln, The Engine Shed has strong ties with the university as well as hosting large name bands time and time again. Hosting club nights and well as live music, O2 Academy Liverpool is one of the most prominent live music venues in the city. A frequent haunt for the cities students, the Arts Club is a leading music venue, bar and kitchen with frequent dance nights, live music and events. One of the largest O2 academies, the O2 Brixton Academy is steeped in musical history, and draws huge crowds and huge names with every gig. It's primarily used for live music. Located within the O2 Arena in London, the Indigo2 is in a high traffic area with an eclectic mix of live music, events, sports and comedy on offer for anyone looking for the big venue experience. O2 Islington Academy is very commonly used as a nightclub, with popularity in London due to excellent deals for drinks, entry and crowd-pleasing tunes every weekend. The venue also offers up great live music. Having recently reopened following some building work, Shepherds Bush Empire is on it's way to becoming a must-have venue on tours. Being a smaller venue than Brixton doesn't mean that the Forum is any less popular, with frequent sell out shows the popularity of this venue grows every month. Hosting club nights and well as live music and comedy, O2 Manchester Apollo is one of the most prominent live music venues in the city. The Ritz has passed hands many times since it opened in 1927, and became park of the O2 cohort last year. With a rich musical history (The Beatles played here!) the venue has moved with the times and now also offered club nights and comedy. Attached to Manchester University, the Manchester academy hosts the NME Awards, Kerrang! tour and is graced by big names acts weekly. It's been open since 1963 and has three rooms within the venue. 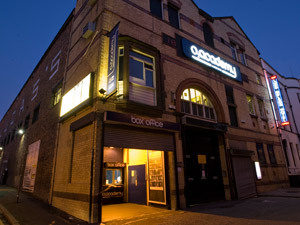 Hosting club nights and well as live music, O2 Academy Newcastle is one of the most prominent live music venues in the city. The venue has two rooms allowing multiple events within one night! Part owned by the University of East Anglia, the Waterfront is one of the most popular venues for live music in Norwich, with performances from well known bands to local ledgends. Ever wondered where Radiohead filmed their video for creep? Well it was right here in O2 Academy Oxford. The venue now serves up club nights and live bands on the regular. Wedgewood Rooms is a Portsmouth landmark, having even served as storage space during WW2! It not hosts live music an comedy on a regular basis, with several rooms within the venue serving host to many different events. With two rooms holing both live music and club events, O2 Academy Sheffield is perfect for larger campaigns, especially location specific! One of the most popular clubs in Sheffield, with regular nights such as Propaganda. They also have live bands playing regularly. The Joiners Arms opened in 1968 and has been serving up live music to the Southampton locals ever since! It has a schedule jam packed with live music from up and coming bands. This long standing live music venue underwent refurbishment in 2012 and has served up live music since the 60's! Now in it's 24th year of operating, this historic independent venue serves up an eclectic mix of music in Tunbridge Wells.